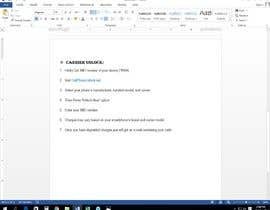 Write a blog article 500 words regarding mobile phones! 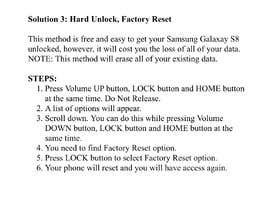 I need an article, 500 words with title "How to unlock Samsung Galaxy S8", you must write about pass-code unlock, hard reset and carrier unlock. Winner selected I will provide more than 100 articles, future work with good prices per word and obviously this 10 USD. Article must be 100% unique and pass copyscape test, no spin articles or other [login to view URL] submit only word format otherwise will be rejected. Word documents are not allowed. DO NOT WORRY POST IN ANY FORMAT YOU WANT BUT MUST BE ORIGINAL, COPYSCAPE FREE.